Mark Zuckerberg is ready to apologize. 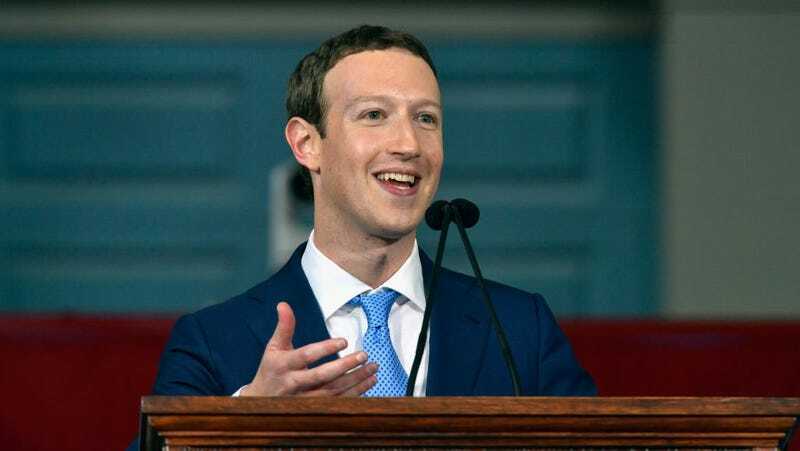 In written testimony submitted prior to his congressional appearances this week, the Facebook CEO issued a sweeping apology for his company’s blunders on election interference, privacy, and fake news. He called the social media platform an “idealistic and optimistic company,” noting that attitude contributed to Facebook missing the signs of abuse. Facebook has pushed out a flurry of announcements over the past week about how it’s planning to mop up the Cambridge Analytica data-scraping scandal, and it’s clear from Zuckerberg’s testimony that the announcements were intended to prime the pump, letting the embattled CEO claim that his company is indeed taking action. His testimony summarizes the steps Facebook is taking in the wake of Cambridge Analytica to prevent developers from inappropriately accessing data; namely, Facebook is locking down a feature that allowed users to be looked up based on their phone number and is restricting developer access to certain APIs and user information. To address election interference, Zuckerberg points out that Facebook has taken down hundreds of accounts run by the Kremlin-linked Internet Research Agency, which the US Department of Justice has accused of conducting “information warfare against the United States.” He also notes that Facebook used new artificial intelligence tools to detect and remove fake Macedonian accounts during the 2017 special election Senate race in Alabama. Zuckerberg also plans to highlight new restrictions that Facebook has created for political advertisers. However, he makes sure to point out that Facebook enabled positive interactions around the elections as well. “My top priority has always been our social mission of connecting people, building community and bringing the world closer together. Advertisers and developers will never take priority over that as long as I’m running Facebook,” he adds. Zuckerberg is scheduled to appear before the Senate Judiciary and Senate Commerce Committees tomorrow, and the House Energy and Commerce Committee on Wednesday. Zuckerberg’s full testimony is below.